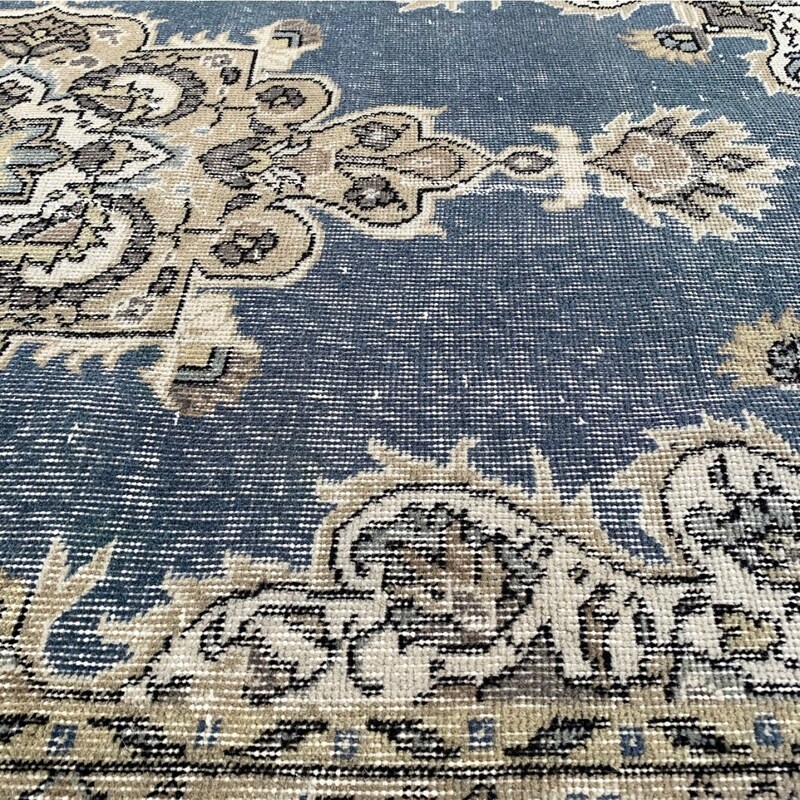 This vintage Turkish rug will definitely make your book club jealous! 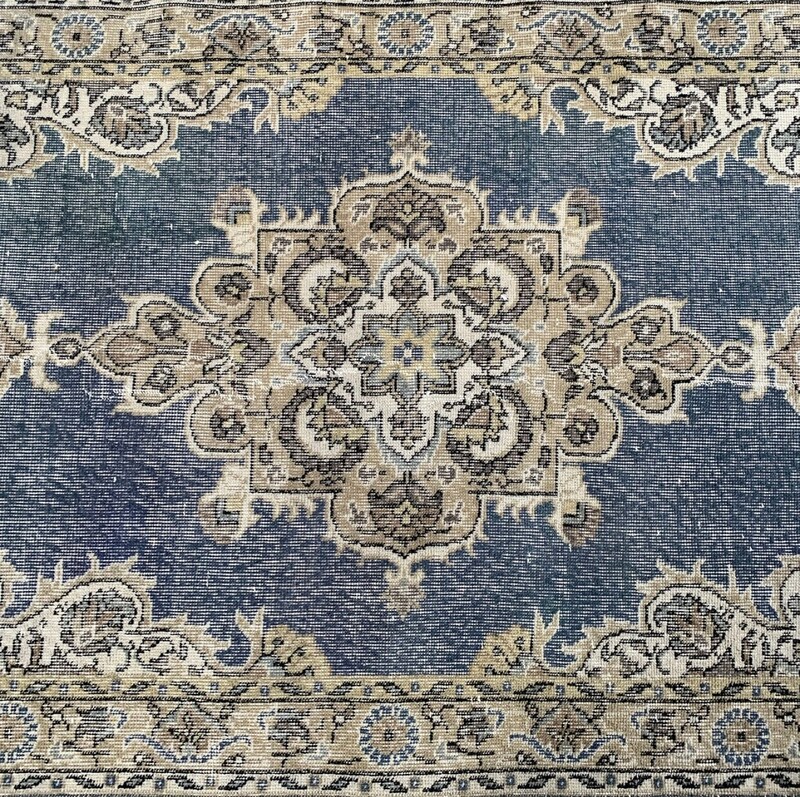 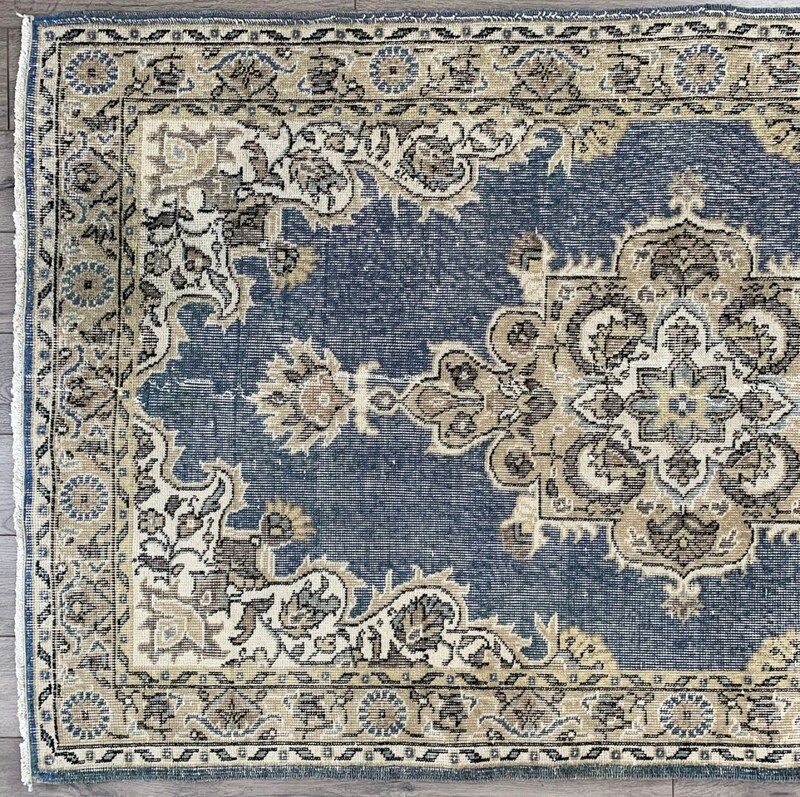 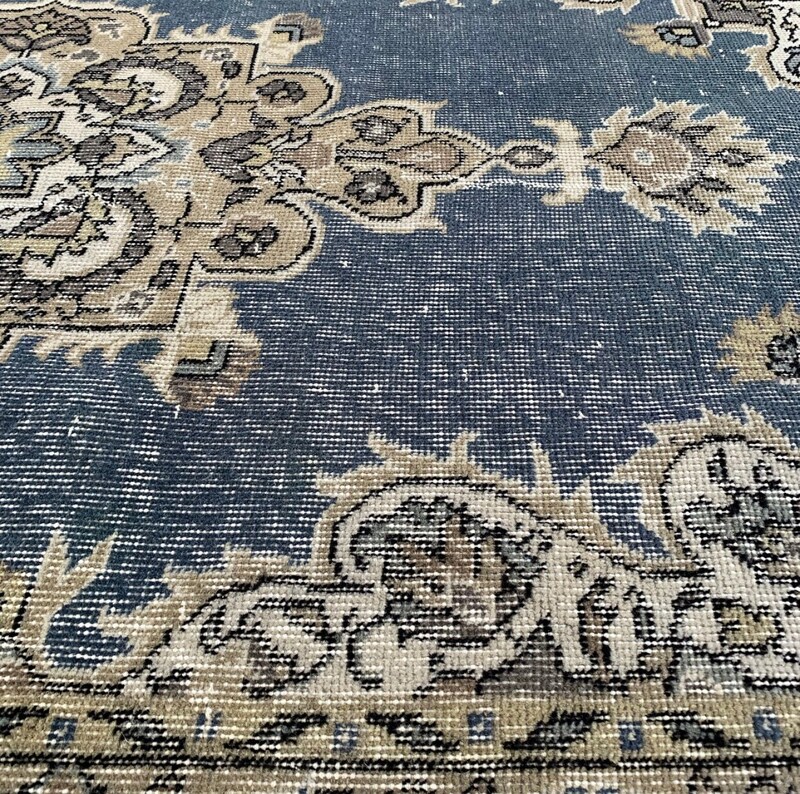 Rare navy blue paired with neutral details in bone, taupe and clay make this one a classic - it was hand knotted in Turkey in the 1930s. 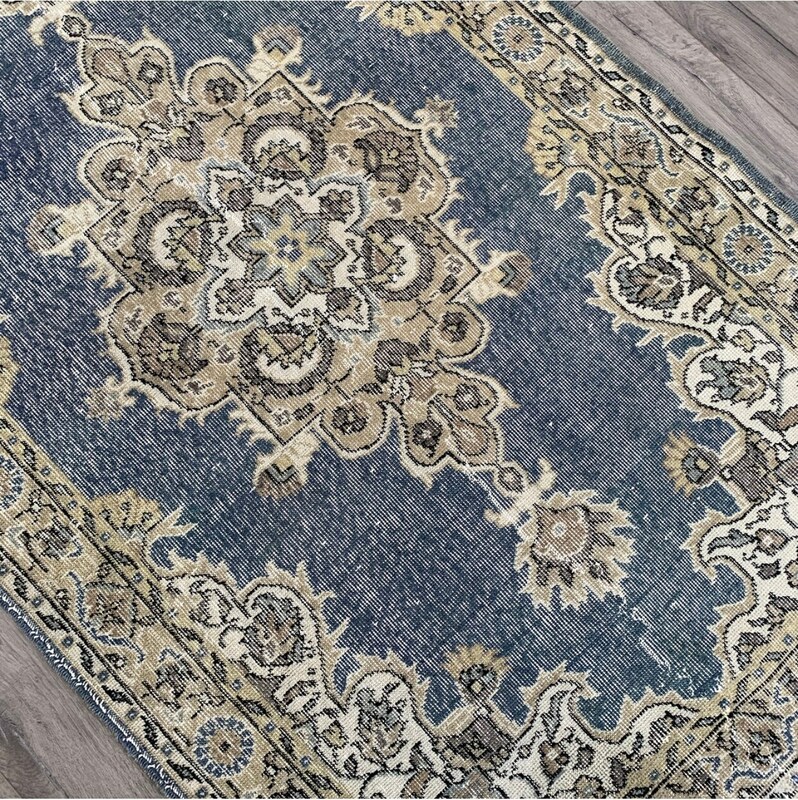 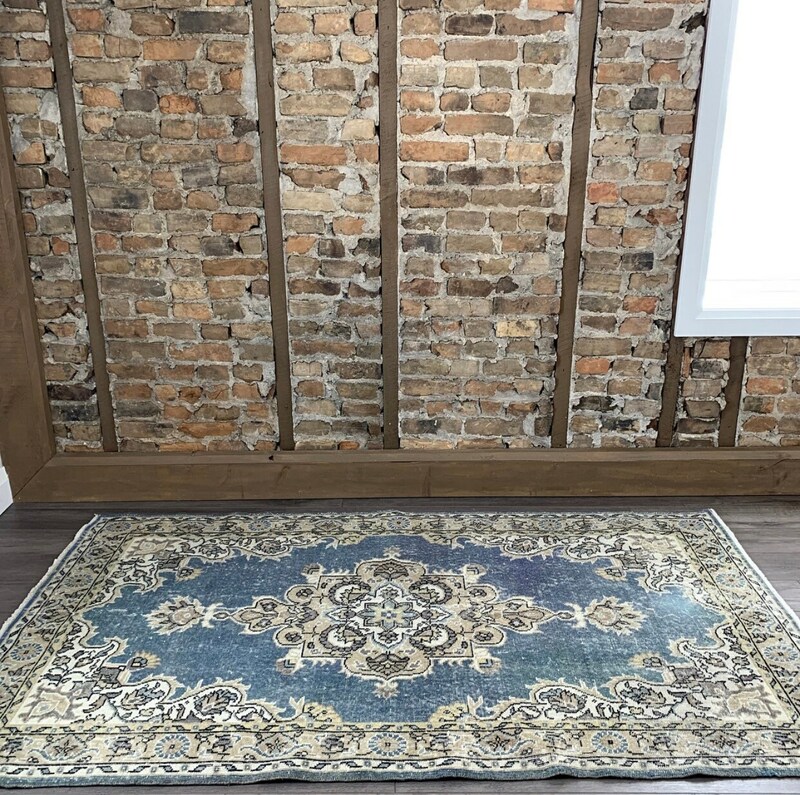 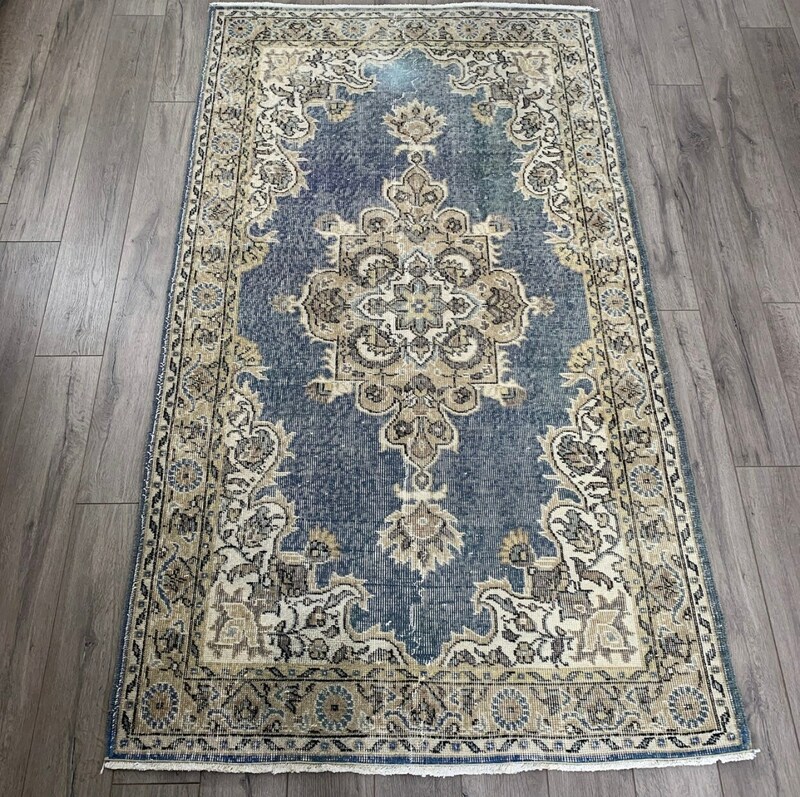 Versatile in size and colour palette, this area rug would work well in a living room, office or bedroom area, or in a front entryway. 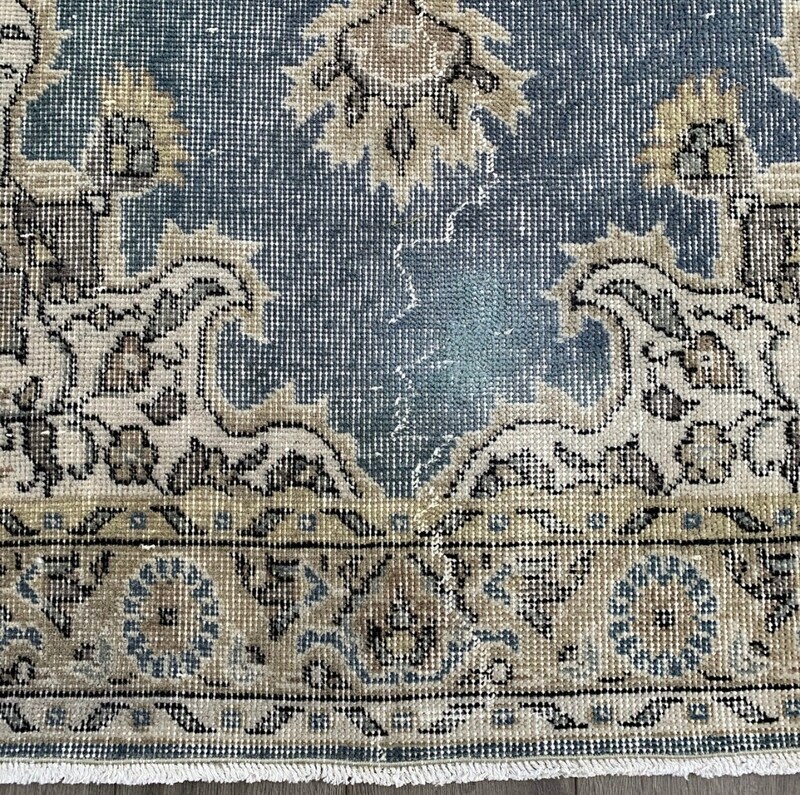 Small white creases and one lighter spot near the end - depicted in photos and reflected in the price. 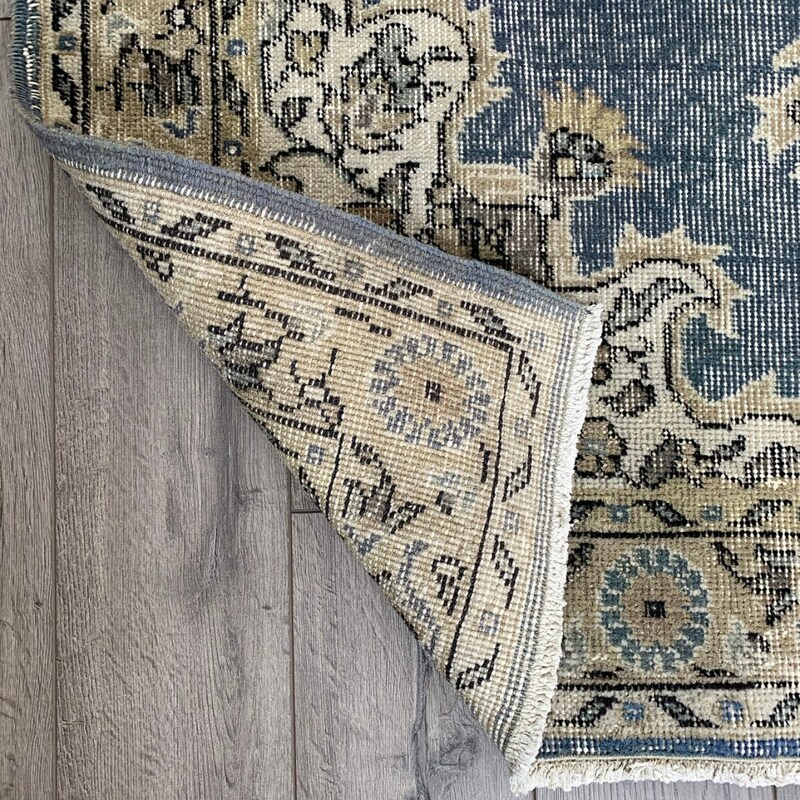 Turkish Oushak rugs are durable and easy to clean - they stand up well in high traffic areas and homes with little ones. 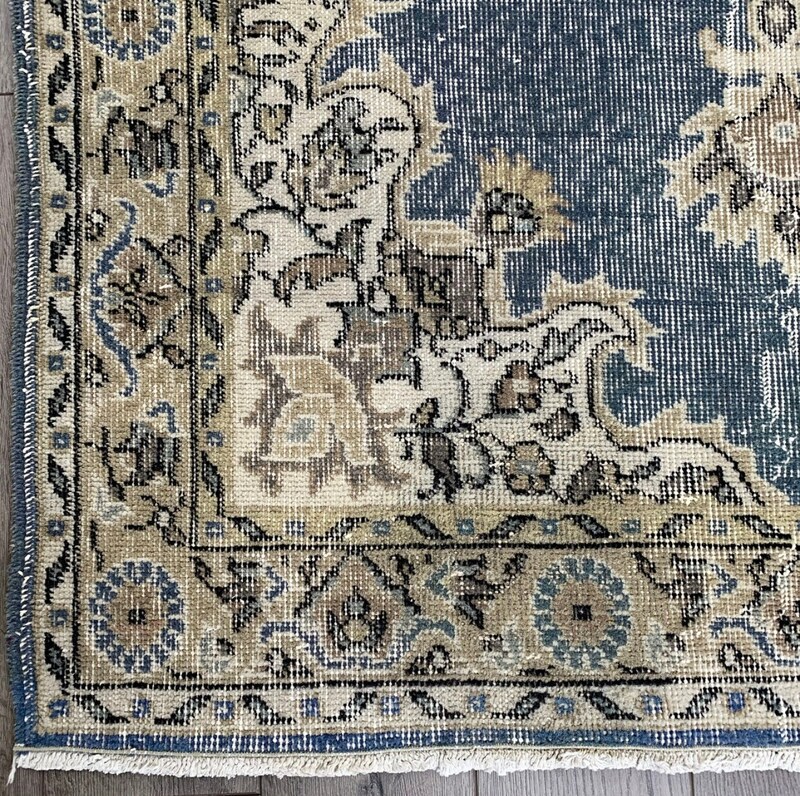 Vacuum and spot clean regularly.